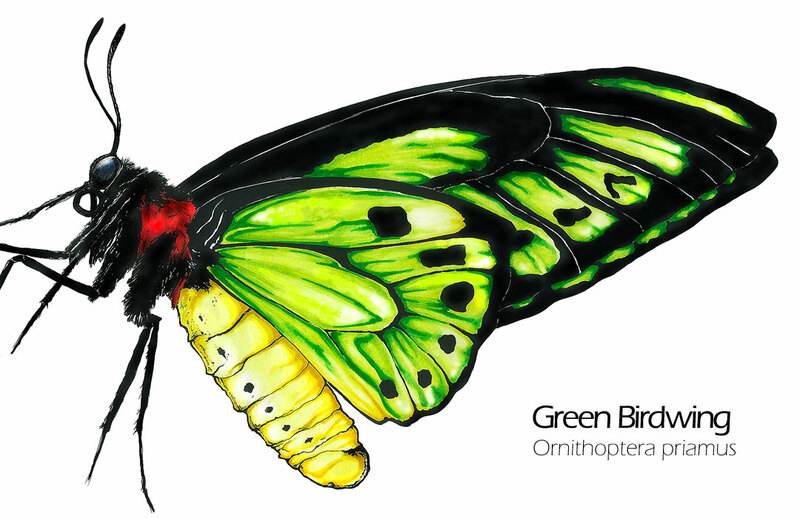 This illustration of this awesome butterfly, scientifically named Ornithoptera priamus, is actually of the male. Females are bigger, but more bland, with brownish colors. Males have iridescent green colors, as represented in this green birdwing artwork. Animal drawing art description: Fine art drawing scientific illustration of a green birdwing butterfly, ornithoptera priamus. Color markers and ink drawing by Madeleine Dubé. 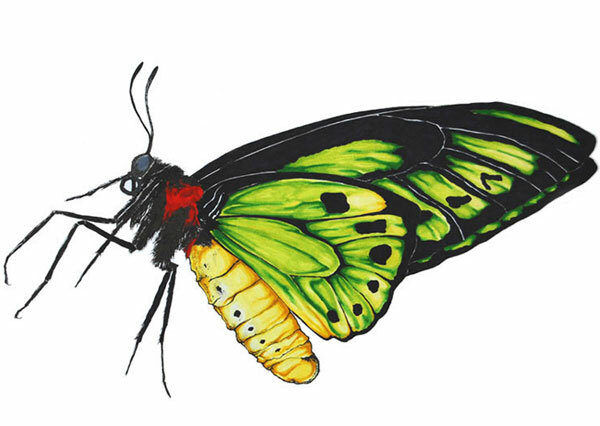 Green birdwing butterfly drawing artwork available for sale as greeting cards, postcards and high quality giclée print reproductions (8"x10" and 11"x14"). Green birdwing butterfly animal image available for licensing. Ideal for commercial uses such as print, packaging or advertising. For information contact me by email or by phone: 1-514-770-0705.